Just starting out? If you are just starting out or are limited to small batch sizes, you may be opting to brew your own tea in-house or at a co-packer, with batch or kettle brewing. As batch sizes increase, you will experience some of the logistical drawbacks to batch brewing, including the costs of energy and labor, procurement and storage of the leaf, and finally, disposal of the spent leaf. As your business grows, so can the pain points of brewing your own tea in-house. Not only is batch brewing time consuming and labor/resource intensive, it is difficult to scale as your volume increases. Also, no matter the size of your business, large or small, batch-to-batch consistency can be a challenge. When you start to experience these problems, Amelia Bay can help you alleviate each of them, with our brewed liquid tea extracts. Making a change You may know that it’s time to move away from the constraints of your own in-house brewing system, but change may seem ‘hard’—you have questions, and we have answers. What about the authenticity of my product and label claims? Nothing needs to change on your label, so your brand is protected. Your real brewed tea will remain real brewed tea, but you won’t have the headache of brewing it yourself, in-house. 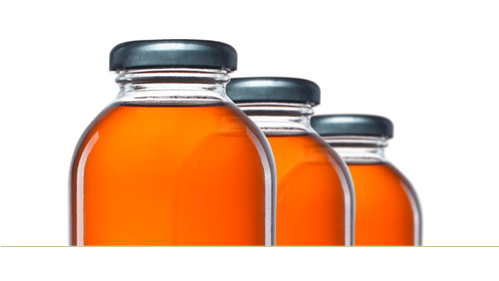 Brewed liquid extracts typically yield a higher quality product than brewing alone, and they eliminate consistency and lead time problems. When everything is taken into account, cost is generally on par. What about consumers’ taste perception? Amelia Bay’s brewed teas can be tailored to match or improve your current flavor profiles, no matter what they are. The end result Wondering exactly what brewed tea from Amelia Bay will bring to your final product? Consistently high quality, from batch to batch, day in and day out, regardless of where it is packed. Maximum shelf life—While the bottler and testing typically determine optimum shelf life, Amelia Bay’s brewed liquid extracts are optimized to be more stable than regular batch brewed tea or instant tea powders, allowing product to taste and look fresher, longer. For an easier way to brew, just leave the brewing to us. Contact Amelia Bay today and get started.